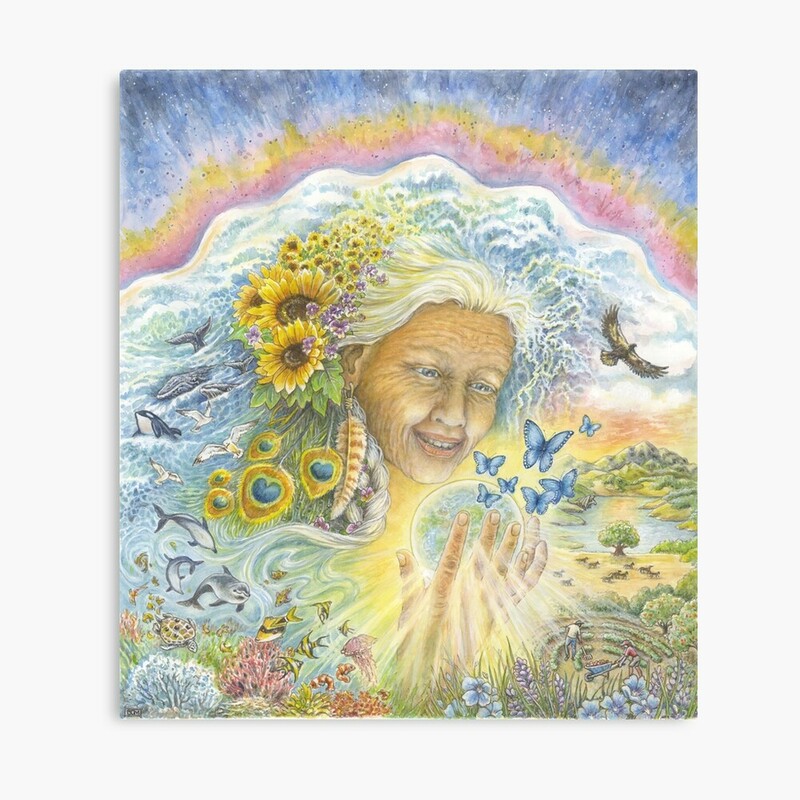 This painting of the Great Mother was painted by Brenda Duke Murphy (http://www.bdmillustration.com/), and commissioned by award-winning author and Gaia Communicator Mare Cromwell. It is the image on the cover of the book: "The Great Mother Bible". All rights have been transferred to Mare Cromwell. 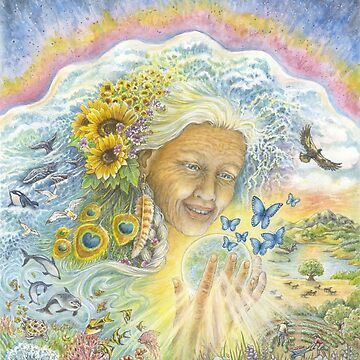 www.marecromwell.com The painting is of the Great Mother showing her love for Earth and all on Earth. The details include: - an altar on the back of the turtle at the lower left, - the orca whale represents “Granny”, a very wise and beautiful orca whale that an animal communicator has been communicating with off the coast of Washington State for years. (Mary J. Getten - you can google her books and work), - whales, representing Mother’s record keepers and their great wisdom, - the Tree of Peace, - a permaculture-ish garden in a circle, representing the wisdom of the circle and sacred geometry - a dragon tucked into the rocks along the edge of the lake, - some faces in the mountains - the golden eagle soaring... a powerful symbol in the Native American cosmology (and other traditions), - a feather earring from an owl, and, - of course, the butterflies too, metamorphosis, with the Great Changes the world is going through now, with the New World being born.